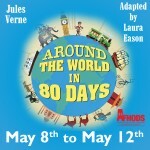 Join us for this journey around the world with Phileas Fogg and Passepartout, where they encounter danger, adventure and romance from London to Cairo, India, Hong Kong, Japan, the Wild West and New York! But will they get round in time? The award winning London smash hit play and subsequent feature film DEATH AND THE MAIDEN is revived in this exclusive tour by Baroque Theatre Company. Gripping high drama, with great intensity, this is a unique and first-rate thriller. 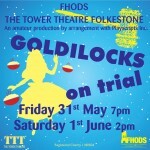 FHODS Youth Section present Goldilocks on Trial. You all know the beginning of the story and now it's time for the end! A hilarious short comedy, set in a court room, where Goldilocks is on trial for breaking an entering. Fairport Convention have been touring and making great music for over 50 years. Credited with originating British folk-rock music, their musicianship is exemplary and there is nothing quite as joyous as a live Fairport Show! 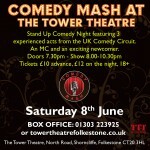 Comedy Mash at The Tower Theatre! Comedy Mash is back! Featuring 3 experienced acts from the UK Comedy Circuit, an MC and an exciting newcomer. Strictly over 18's. One of the greatest musicals of all time The Sound of Music comes to the Tower Theatre in 2019, in a magnificent new production to enchant and enthral the young and the young at heart! The Sound of Music - exclusive sing-along performance! Join us for this very special sing-along performance! 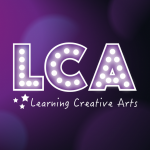 LCA Stage Academy will perform a variety of musical theatre pieces from a long list of much loved musicals, old and new! 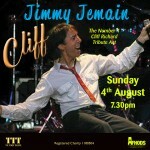 Jimmy Jemain is the official UK No.1 Cliff Richard tribute and Europe's finest and most professional tribute to Sir Cliff Richard. Winner Of Stars In Your Eyes, Jimmy has been singing for nearly 30 Years.... ! Another highlight was performing as Sir Cliff in "Cliff The Musical” at London's West End Prince Of Wales Theatre. The Young Performer’s Dance Academy proudly presents their annual show demonstrating an array of dance styles to an exciting soundtrack. Taking you on a whistle stop tour from the heart of London's theatre land to the glitz of Broadway, the critically acclaimed Mad About The Musicals is back - celebrating the very best songs from the shows we all know and love! Hellfire HORRORfest - Folkestone’s 1st Horror Film Festival consists twelve hours of back-to-back horror films from around the world!